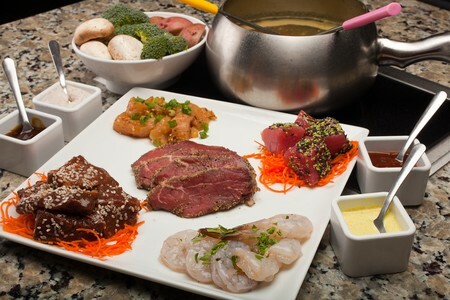 Kids love to dip, which is why children love the Melting Pot, the fondue eatery that presents bubbling cauldrons of cheese, broth, and chocolate along with fun stuff to dip; like bread, fruit, shrimp, and steak. There is a children’s entrée that has a little bit of everything on the plate, or order one of the cheese fondues, which are perfect for sharing. There’s something to tempt all the children at this vibrant indoor city market, home to more than 80 merchants and vendors housed in the city’s former commuter train shed. With older kids, why not give them an allowance for lunch and turn them loose after making a meeting point at one of the market’s common dining areas. They’ll be able to choose between everything from souvlaki and fried seafood, to sushi and burritos, cheese steaks, and hot roast beef. If your child has recently sworn off meat, this crunchy café is the perfect stop. Choose between fresh fruit smoothies and juices, organic eats, natural products, homemade soup, and faux meat dishes like a yummy tempeh Reuben. Munch along with the oldies at this 1950s-themed burger joint on South Street, which features triple thick shakes and malts, a great grilled chicken sandwich, french fries, and cheeseburgers hot off the grill. 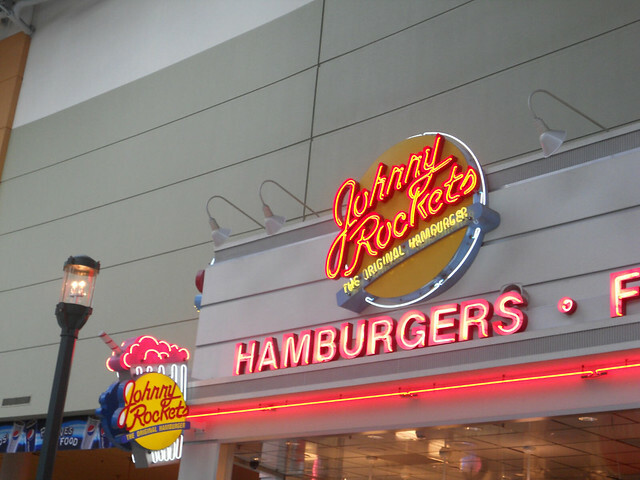 The retro-diner chain, which started on Melrose Avenue in LA, delivers food fast on paper plates; a touch which you and the children will appreciate. 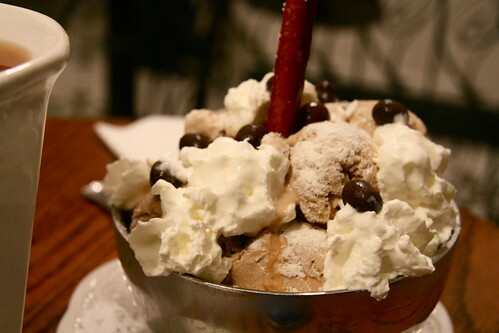 If the children are screaming for ice cream, head to Franklin Fountain in Old City, an old fashioned ice cream saloon run by brothers Ryan and Eric Berley. Specialties include handmade ice cream, banana splits, thick shakes, sundaes, and flavored soda water. Try the Franklin mint chip — named for you-know-who — an all natural blend of white peppermint, green crème de menthe, and dark bittersweet chocolate chunks. Located on South Street and in Center City’s chic Rittenhouse Square neighborhood, Pietro’s Coal Oven Pizzeria puts out pizza with a thin, crispy crust, thanks to the heat of its coal-fired ovens. The children will love the pizza and you can dine on freshly made pasta dishes and salads. Now that’s the best of both worlds. 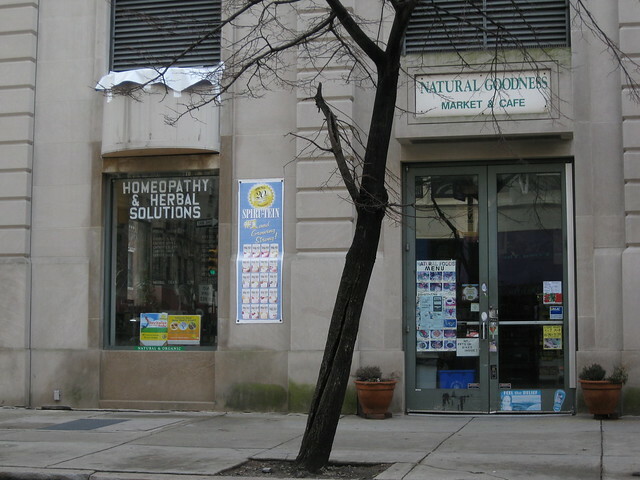 Rock and roll rules at the Philly outpost of this international chain, but the food won’t let you down either. The children will love the mac and cheese, but there’s also chicken tenders, caesar salad, and barbecue; even the veggie burger is good. And you’ll have fun talking rock history and looking at Madonna’s bustier, Bob Dylan’s motorcycle, and Buddy Holly’s sport coat, among other treasures. 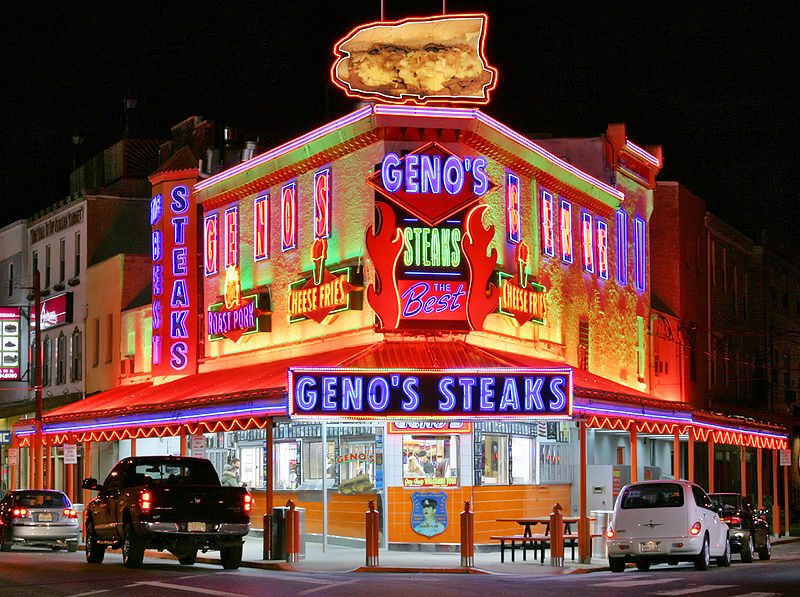 Philly is known for its cheesesteaks — served universally with cheese whiz unless you insist otherwise. Three spots the children will love are Steaks on South,where owner Patrick Dougherty delivers quality steak, a garlic studded roast pork sandwich to die for, and inspired veggie offerings. Tradition rules at Pat’s King of Steaks and Geno’s, two local faves in South Philly that serve up grilled steak, fried onion, and plenty of whiz 24/7.